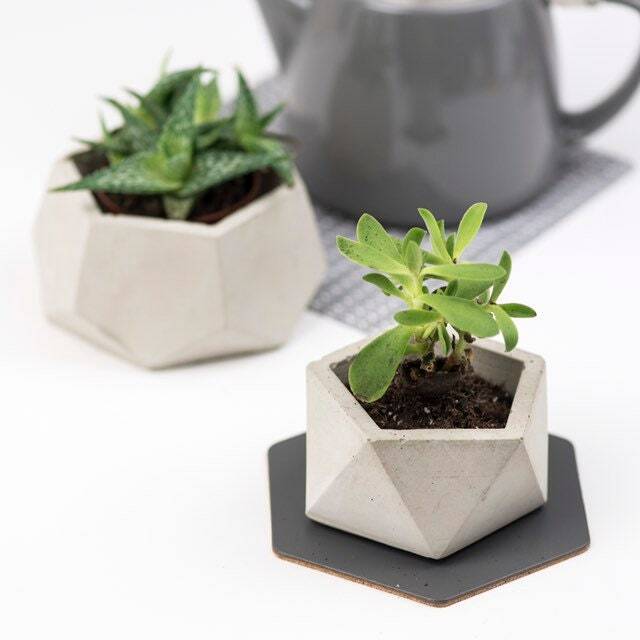 This geometric shape planter is made from pure concrete. 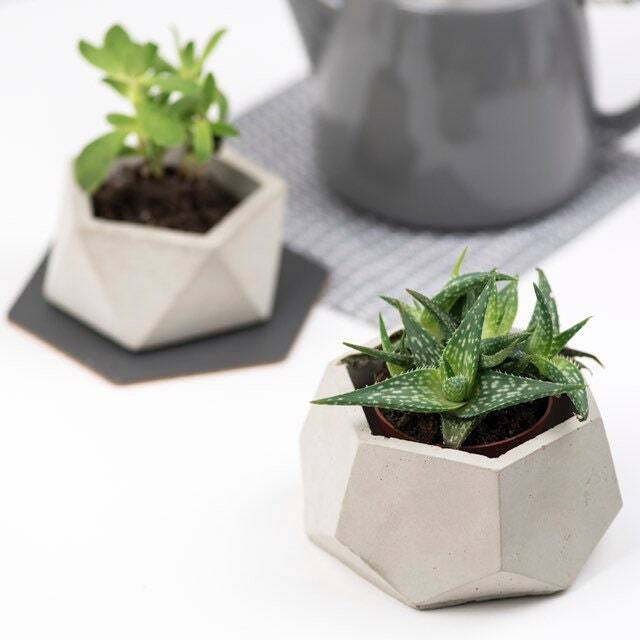 Any plants can be put into the planter directly, as concrete is only very slightly water absorbent and is perfect to use inside or outside. The planter is 6cm high and up to 12cm wide. The inner opening is up to 8.5cm in diameter.